AskBTS: Newsletter - Should You Be in the Cloud? BTS Newsletter: Should You Be in the Cloud? This lovely photograph was taken on January 28, 2014, by Technical Advisor Greg Gassner. The inclement weather this winter could not prevent BTS from serving our customers! What's the Best Way to Retain Customers? Has Your AT&T Bill Skyrocketed? Are You Still on XP? In today’s world, we are bombarded with advertising campaigns urging us to move all of our computing and communications to the “Cloud.” We regularly have customers contacting us to ask if they should be moving to the Cloud, and our answer is always a resounding – maybe. As with all technology, we should first make sure the technology is going to help our companies be more profitable or provide some sort of competitive advantage in our marketplace. It’s a good idea to understand what the Cloud is, what it does, and what the possible pitfalls may be, before we make the decision if it is the right path for us. The Cloud can mean different things to different people but, in common usage, the Cloud is the public internet, and moving our services to the Cloud means we will be putting our data and services out into the public domain. Cloud services can bring some distinct advantages to our businesses, such as ubiquitous access to our data and services, greater economies of scale, reduced spending on IT and communications infrastructure, and reduced need for in-house expertise. There are two distinct types of Cloud services, usually referred to as Public Cloud and Private Cloud, and each of these have nuances which may make it a better fit for any particular Cloud project. In a Public Cloud system, you would move your data and services onto virtual servers and systems in a shared, public environment such as Amazon’s cloud services, Salesforce.com, or the BTS Total Voice Hosted Communications platform. In a Public Cloud environment, you can gain greater economies through the shared services, but in many cases lose the ability to customize the environment for particular purposes. In a Private Cloud system, you build a private system to support the required services and move this system into a secure datacenter where the systems will have direct access to the internet. A Private Cloud system can provide much more ability to customize, but it can also increase capital expenses. In many cases these two types of Cloud offerings can be blended to provide the required benefits. The flip-side to this is the challenges we can face when moving to the Cloud. Some of the most obvious concerns with the Cloud are grouped around security. Is our data secure? If our data is in a shared environment, who really owns the data? Can we easily get our data back if needed? It is important to have a trust relationship with the people responsible for your data and services. When moving to the Cloud, we may be forced to push that trust relationship out another level. Further, if we will be relocating existing services to the Cloud, we need to set proper expectations for the users. In most cases, the user experience will change when the services are relocated to the Cloud, and it is critical to a successful implementation for users to understand the changes. The benefits we are chasing will not materialize if the users are unable, or unwilling, to adapt to the system. Another item of which we need to be aware is the need for greater internet bandwidth. As we push more and more services and data into the public internet, we will need more and more bandwidth from our offices, homes, and wireless devices to access these services. High bandwidth circuits and wireless services are becoming more widely available at more cost-effective prices, but there are still a lot of places where this can be a concern. The days of 6 Mbps ADSL internet service being workable are becoming a thing of the past. With the use of Cloud services we need much more bandwidth, and the need for greater upload speeds is pushing the need for more synchronous circuits where download and upload speeds are the same. This is creating a need for circuits like fiber-based Metro-Ethernet. These circuits can be very cost effective in a lot of metropolitan areas, but can carry heavy up-front “build” cost for areas where the fiber optic cables are not already present. When trying to make a decision on possibly moving forward with a Cloud project, it is imperative we take a broad view of the implications and not get caught up in all the hype. A move to the Cloud can be great for a lot of companies, but it can also cause a great deal of pain for our organizations if not well thought out. If you are considering making the move, please contact BTS, and we will get you in touch with one of our technical advisors. They can work with you to think through the project and can bring additional resources (BTS technical resources, carrier resources, ISP resources, manufacturer resources, etc.) to the table helping you make an informed decision. Why is it hard to retain customers? It goes back to the basics—doing what you say you'll do—in product, service, and value promises, and really knowing your customers. The unfortunate fact is many companies have fair or little knowledge of customers' demographics, behaviors, psychographics, and transactions, and they have no processes in place for reactivating dormant or lost customers. Customers view product and service quality by far as the most important components of trust. Way down the list are state of the business, innovations, supporting the public good, and commitment to the environment. Since trust is the basis for long productive relationships, then your customer retention strategy must include oversight on product and service deliverables meeting or exceeding the brand promise featured in marketing communications. Economists examined the revenue gains by increasing positive word‐of‐mouth and by reducing negative word‐of-mouth. They found that reducing negative buzz pays off 300% over improving positive buzz. Customer retention may be best supported by operational integrity. After all, when you think about your personal relationships as well as your business relationships, you tend to stick with the folks that are really good at showing they sincerely care about you, and doing what they say they're going to do. It boils down to trust. When you dig down to the reasons why people leave a brand for a competitor's solution, it's not so much about the competitors' offers and brand affinity ‐ but the reasons people switch brands is much more about product, service and value disappointments. Companies make huge investments in communicating their value proposition. Logic says a corresponding investment ‐ at least in energy and scrutiny ‐ should be made in making sure their value proposition is lived up to. Trust is the best way to retain customers. You can retain customers by locking them into contracts, but a better way is to encourage customers to invest non‐transferable equity in your brand ‐ for example, customers find quality and attention to detail in your product or service, or they may receive special offers or other loyalty perks through your brand that can't be readily transferred to your competitor. This is better, because it's the customer chooses his or her level of involvement and tie‐in with your brand. You can retain customers through unique technologies that competitors don't offer, either due to patents or lack of common standards. But a better way is to develop customers' passion for your brand – your unique value proposition. We have seen AT&T raising customer rates aggressively. In most cases, the rates have doubled, but in one case the rates increased 600%. AT&T is doing this in an effort to get you under a contract or move you to a different product. There are options and alternatives to the madness! Give us a call and let one of our representatives offer a cost-efficient carrier solution for your business. If you still have XP, your PC is probably a 7+ year old desktop or a 10lb laptop. If it is a server, you should be significantly concerned. Contact BTS for a plan to get you current. DO IT NOW before something happens. We offer preferred pricing on Dell products and comprehensive managed service programs for your networks . Field Engineer Jason Thompson completed his MCSE, bringing the total number of BTS technicians with this certification to six. BTS President Roger Wentowski, Jr. notes, "The reason we expend so much time, effort, energy and financial resources to make sure our technicians are incredibly good at what they do is simple. It builds trust with our customers. When our customers see that we take their data infrastructure seriously and that our staff is talented enough to take good care of their data networks they can trust that their business will run more smoothly and operations will be streamlined after working with us. Many companies try to avoid spending money on this training, but to us, it's absolutely vital." Field Engineer Robbie Batting is now a Cisco Certified Network Associate, demonstrating his expertise in routing and switching. Field Engineer Jamey Wynn earned a virtual wireless LAN certification from Adtran. Congratulations on their achievements to all of our technicians! Field Engineer Brett Wakefeld graduated from Gardendale High School and has been at BTS for four years now. He is NEC, ShoreTel, and Microsoft certified. Brett spends his free time playing golf and recently became the proud owner of his first home. Brett is pictured here with Field Engineer Jamey Wynn. The spotlight will be on Jacob in next quarter's newsletter! Your Office Just Got a Receptionist You Don’t Have to Pay For — Cloud based phone system stoday include features that completely eliminate the need for a receptionist. Systems can be configured in order to route calls directly to the intended employee via a unified auto-attendant. Also, if your office doesn’t have a receptionist, systems can distribute incoming calls among specific groups. This goes beyond simply sending sales calls to salespeople and admin calls to support employees. For example, you can use Caller ID to send specific accounts directly to the CEO’s cell phone. Or if none of the salespeople answer an incoming call, it goes to the Sales Manager’s cell phone. Unlimited Locations, One Office Number — With the rampant growth of startups and virtual companies, many businesses need to have a communications system that supports both in-house and remote workers while maintaining a professional image across the board. With cloud voice, calls to the main office can be sent out anywhere simply by asking the customer to dial an extension, just like how large corporations are doing. Seamless Conference Calls and Lightning-Fast Voicemails — Conference calls or online meetings are often a source of frustration for most companies. This is due largely to the tendency to bolt-on collaboration tools in the hopes that things will work smoothly during the meeting. However, they rarely ever do. Cloud voice solutions enable businesses to host conferences during meetings so you can be “face-to-face” even when you can’t be in the same location. Furthermore, all technology is hosted through a single solution so when it’s time to host a meeting, businesses can rest assured that the technology will perform as promised. Another way in which cloud voice accelerates collaboration is through its ability to convert voicemails into MP3 files, which can be sent as email attachments. Additionally, voice calls can be converted to text and vice versa for easier retrieval and communication. Collaborate on the Fly — Today’s employees need to be constantly connected. Collaboration can’t always be planned out in advance and when a good idea strikes, everyone needs to be in the loop. Cloud technology has made it easy for employees to see from their desktop what their co-workers are doing and how to best access them (e.g. instant message, voice, or email) so communication can happen immediately. Don't let the bees get stung! 25% of honeybee colonies died during the past year. In some areas, this figure is understated greatly. Honeybees pollinate the plants and crops that we require for food. The loss of bees means less crops and/or more costly crops. The decline in the bee population is alarming and not yet contained. This, in part, is due to incorrect and overuse of pesticides. Here is what you can do to help: Follow directions carefully if you need to spray a chemical in your yard or around your home. Do not spray when flowers and trees are in bloom. Make friends with the folks around the corner who have a couple of hives. Help educate others. Become a beekeeper. Buy some local pure honey. Business Telephone Systems (BTS) was founded in 1976 just as it became legal for private organizations to buy and sell telecom equipment in the United States. During this time, we discovered the real service was not in selling telecom equipment, but in helping our customers use the technology. As technology has changed, so have we. BTS changed its name to BTS Technologies to better reflect our focus of providing data network and voice solutions. BTS Technologies, Inc. (BTS) was founded on the philosophy of maintaining a profitable business by providing the best in telecommunication systems and services to our customers. The stated purpose of our company not only allows us to provide short-term answers to our customers' communication needs, but also affords us a longevity unsurpassed by the telecommunication industry in our region. We strive to provide quality materials, trouble -free installations, and total communication services at a fair and competitive price that will allow us to maintain our business with quality employees. This policy insures the ongoing system service and support that you deserve and expect. 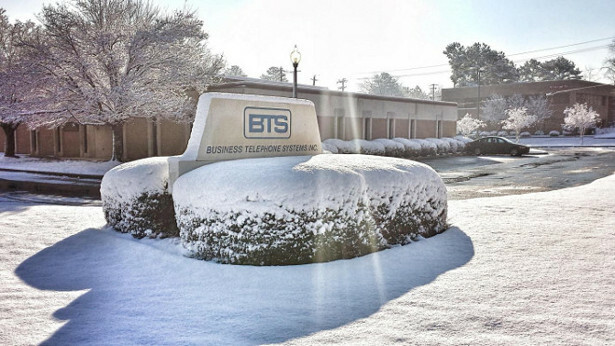 BTS Technologies, Inc. is located at 311 West Valley Avenue, Birmingham, Alabama 35209. For more information on BTS, please call (205) 942-6532 or visit www.askbts.com.